Sam Kennedy is Acting Principal Teacher of Art & Design at Blairgowrie High School. 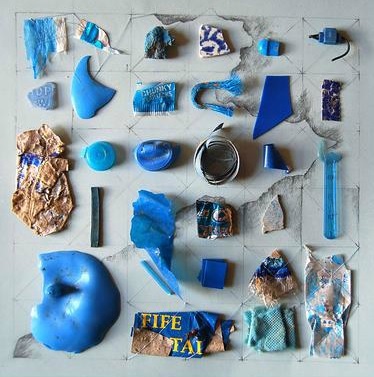 She studied fine art and printmaking at Duncan of Jordanstone College of Art & Design in Dundee before completing her teaching qualification at University College London. This was a course designed to encourage artists and makers to develop their practice in harmony with a fulfilling teaching career. Sam continues to follow this ethos, weaving creative work through continuous learning. She returned to the local area after teaching in London for many years, pulled back by the developments in Dundee and Perthshire’s varied cultural calendar, and strives to raise the profile of Art & Design within Blairgowrie High School and its local community. “I want to bridge the gap between what happens in the classroom and where pupils will go next,” says Sam. This is an approach that clearly works: the school’s Advanced Higher Art & Design course has been fully subscribed for the past two years. Last year a partnership with BOOKMARK, Blairgowrie, Rattray and The Glens Book Festival tasked pupils from S1 to S6 with preparing an exhibition of their monochrome artwork, inspired the festival’s theme of ‘place setting’. 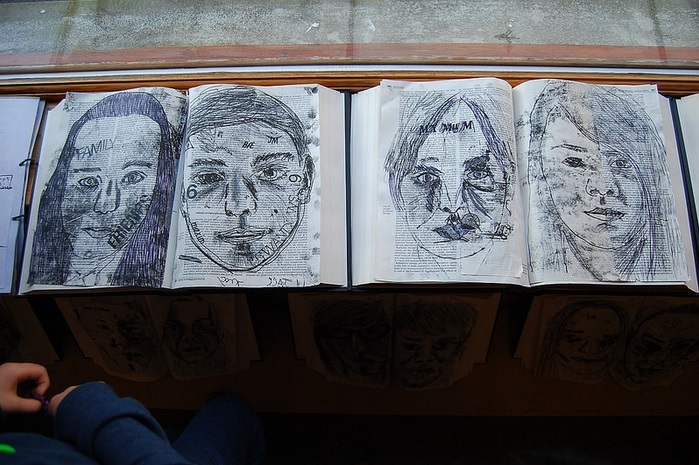 Twenty pieces of their artwork were also selected for an anthology of writing and pupils spent time discussing their work with the book’s authors. Recently students from S2 to S6 designed a logo for the Blairgowrie and Rattray Business Association, which will be used across the group’s branded materials, and S2 pupils designed a sheltered, outdoor area for the high school that can be used as a learning, social and shared space. To bring their ideas for the outdoor area to life, pupils worked with Alison Taylor, a final year student at Duncan of Jordanstone. A trip to the college to build models of their designs exposed pupils to the classrooms of a higher education college, many for the first time. 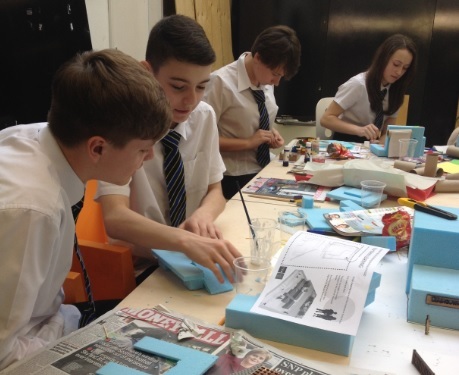 Art & Design projects are also conceived in partnership with other school subjects so that pupils apply creative thinking across disciplines. 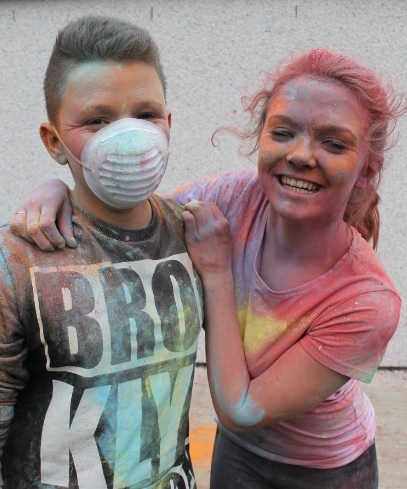 Students recently learnt about the Hindu Holi Festival in Religious & Moral Education and Art & Design. 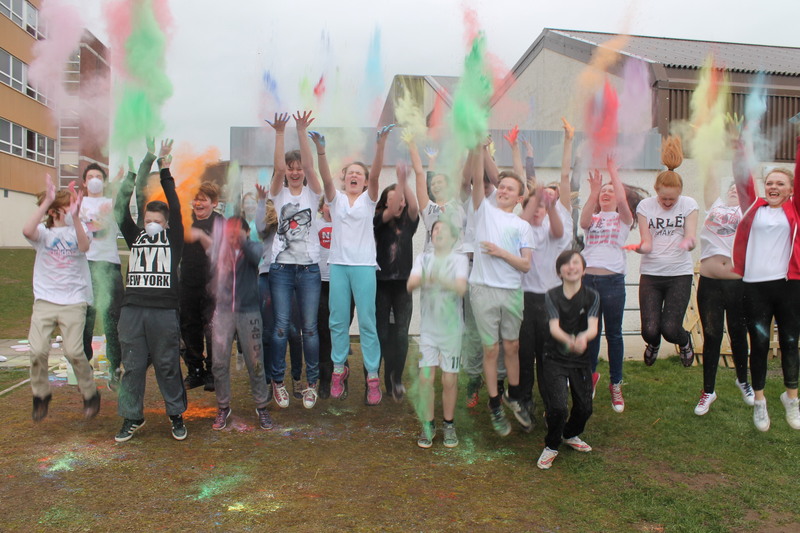 Consolidating what they had studied about the festival – which marks the coming of spring and is instantly recognisable from the vibrant coloured powders that are thrown – 36 students re-enacted the celebration. 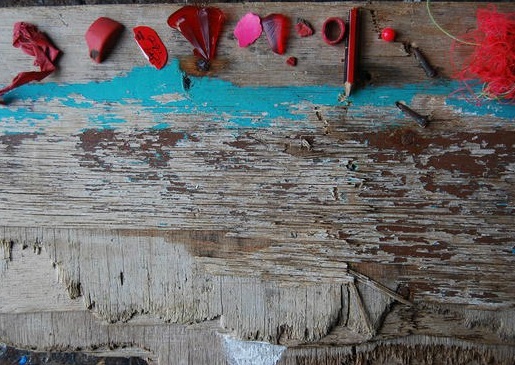 Looking ahead, renowned photographer Peter Dibdin will be mentoring Higher students through the creation of photography and subsequent exhibition, inspired by his Southsiders Project. Students will capture images of local people around Blairgowrie to give a sense of place. This is supported by the Living Communities initiative. Sam is also organising a morning of talks for S2 pupils, inviting a local interior designer, games designer, jewellery maker, weaver and painter into school to discuss their work. The school’s motto is “Learn together today to shape the world of tomorrow.” With so many possible collaborations between school subjects and within the supportive community, there’s a seemingly limitless choice of projects to enable pupils to engage with their studies. This is mirrored by Sam’s boundless desire to turn these projects into reality for her students. “I’m known by my colleagues in the Art & Design department as a creative blur, running from one thing to the next! And without my colleagues Rob Hunter, Jennifer Yule, Emily Tragham and Gyl Rae, we wouldn’t achieve as much as we have. Keep in touch with the work of the Art & Design department at Blairgowrie High School on Twitter and Flickr and if you are interested in sharing your experiences of working in the creative industries, contact Sam at Blairgowrie@pkc.gov.uk. You can also see more of Sam’s own artwork at www.getsamantha.co.uk.